Luminaries - The Sun and the Moon. In traditional astrology the two brightest and most influential astrological planets are considered the Sun and the Moon. Throughout the history of astrology, many connections have been made between celestial movements and the physical changes that occurred on Earth. This information was used to study how the actual placement of the planets affected the many aspects of human behavior. It was observed that the Sun appeared to move through each of the twelve constellations or zodiac signs in a a systematic manner. The Moon was observed to have a cycle of its own, which consisted of going from a new Moon to a full Moon and back again occurred approximately every twenty-nine and one-half days. More about the Moon cycles here. The Sun is considered to be one of the most important factors in interpreting a horoscope chart. Read more about the Sun through each of the Zodiac signs here. However, next to the Sun, the Moon is the most important planet in a horoscope chart. The characteristics of the sign it occupies form an integral part of the personality. Read more about the Moon through each of the Zodiac signs here. The traits that are represented by the Sun's position in a horoscope chart will be expressed in a steady direct manner, whereas the same traits if represented by the Moon will be expressed in a fluctuating, rather emotional manner. The Sun often determines the way in which an individual will express his/her basic energy potential. It generally has a very strong influence upon a specific area in an individual's life. The zodiac sign containing the Sun will indicate dominant personality traits as strengths and weaknesses in an individual's basic character. The Sun represents an individual's main personality traits, aptitudes, talents and their attitude toward life in general. 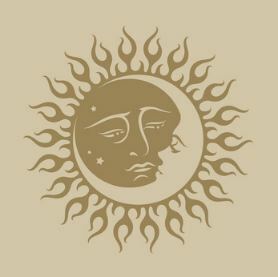 The position of the Sun represents an important point in an individual's horoscope as it will tend to reveal some of the main personality traits. The Moon in a horoscope chart represents the individual's general emotional energy. 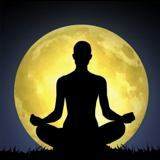 Everyone has a certain amount of emotional energy which is expressed in a manner peculiar to their own personality and the Moon's placement reveals the mode of expression. 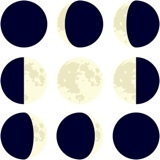 The Moon will indicated a person's emotional state and the manner in which it is expressed. The Moon in the signs of the zodiac indicates the individual's type of immediate response to life's situations. It suggests how the person is likely to reach to external influences and to the behavior of other people. The Sun signs are easy to determine since there are twelve zodiac signs and each one rules a specific time of the year. The Moon is a little more complicated to find as it changes zodiac signs every few days. Having your natal horoscope chart constructed provides you with all the planetary placements, including the Sun and Moon; along with the meaning of each planet for you and the areas of your life they influence.